The Cannes film festival celebrated 100 years of Indian Cinema this year, so we were treated to appearances by Bollywood’s finest. Stars from Aishwarya Rai to jury member Vidya Balan were spotted on the red carpet, looking more gorgeous than ever. 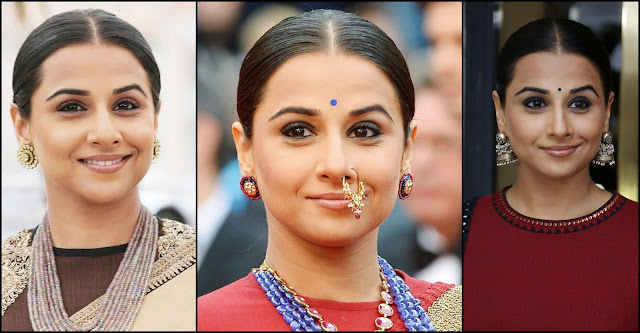 Wearing ensembles by Sabyasachi, Vidya Balan kept her hair simple throughout the festival, sticking to a middle parting. Usually accentuated by big earrings, the ‘do stays true to her understated style. We’re definitely going to try this look out during wedding season! Aishwarya Rai and Sonam Kapoor upped their glam factor to astronomical heights, displaying princess-like hairstyles at every event. While we love Aishwarya Rai’s oversized curls, we like her sleep high bun and embellished updo even better. Don’t miss the structure her bun commands, styled to perfection to complement her equally sleek Gucci Premiere gown. Sonam Kapoor on the other hand, took her curls over one shoulder to complement her eye-catching Dolce & Gabbana ball gown. We also loved her romantic updo, swept away from her face and intricately detailed. As for our third favourite of her looks, the sleek straight hair tucked behind her shoulders showed off her ensemble perfectly. A great look to try for your next special occasion! 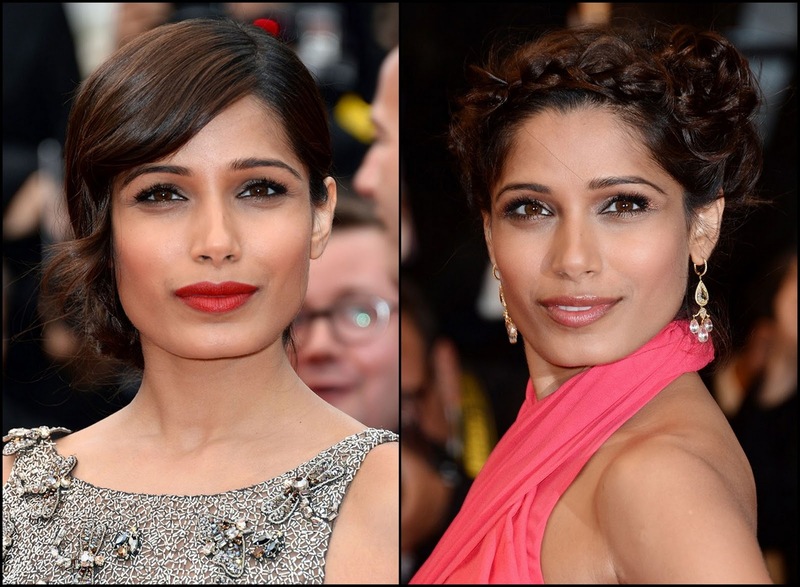 International diva Freida Pinto paired her gowns with updos that we loved, one of which was a braided updo that was consistent with the trend on the red carpet this year! As we mentioned in our last post, stars like Berenice Bejo, Rosario Dawson and Milla Jojovich were also spotted wearing similar braided hairstyles. Also seen in a romantic updo was Ameesha Patel, who left a few tendrils framing the side of her face. Can’t say it was a particular favourite of ours, but she wore it well. Mallika Sherawat went the safe way and paired her ball gown with soft curls, a look we’re not exactly complaining about. We also adore Nandita Das’ side parted sleek hair that she wore with her traditional saree. Understated – even more so that Vidya Balan tends to be – was her choice of look and we think she wears it well! So which Bollywood actress makes it tot the top of your favourites list at Cannes 2013? Excellent post, thanks for sharing. .